Valley Box's prefers outer packaging designs constructed of wood, because of that we like to know as much as possible about the medium we build from. 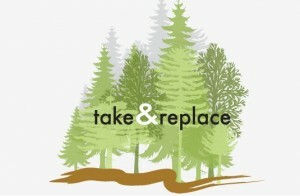 All of our lumber providers participate with organizations who assure responsible forest management. These groups make sure that the lumber mills are participating in reforestation, otherwise known as afforestation. Afforestation is the process of restocking forests and woodlands which have been depleted. In this way the wood industry can replenish the resources used to produce their products, lumber. Absorbing carbon dioxide - Forests absorb carbon dioxide through their photosynthesis cycle, a process that uses carbon dioxide and water, releasing oxygen as a waste product. Rebuilding natural habitats - Forests are the natural home for many animals, many of which rely on trees to survive. Mitigating global warming - Forests facilitate bio sequestration in that they store large amounts of carbon which accounts for as much as double the amount of carbon in the atmosphere. Rebuilding Ecosystems - Forest ecosystems are responsible for moving around three billion tons of anthropogenic carbon every year. This amounts to about 30% of all carbon dioxide emissions from fossil fuels. The use of lumber produced by providers practicing sustainable efforts will increase forest size with reforestation, discourage deforestation, and will help mitigate global warming. To make sure the wood you purchase is processed sustainably, the wood must be certified from certain non-profit programs and organizations. Valley Box's wood vendors all adhere to SFI & FSC certifications. Visit our “Green Business"" page to learn more.